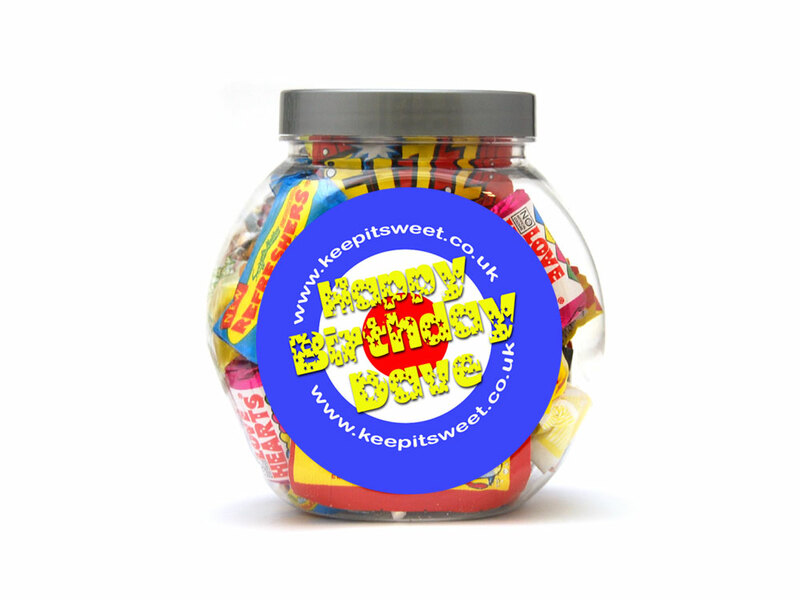 A 650ml jar filled with a great selection of retro sweets. 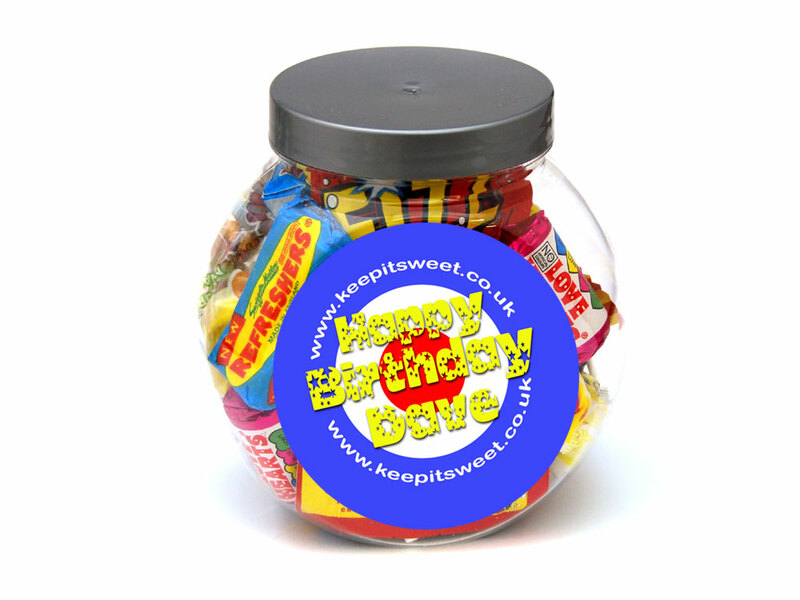 Personalise the jar with your own message to give to someone special. White Mice: Sugar, Palm Oil, Whey Powder (from Cows' Milk), Wheat Flour (with added Calcium, Iron, Niacin, Thamin), Emulsifier (Soya Lecithin), Natural Flavourings. May contain traces of Milk, Soya and Gluten. Candy Watches: Dextrose, Glucose Syrup, Citric Acid, Flavouring. Colours (E102, E110, E129, E133). Anti-Caking Agent (Magnesium Stearate). Warning: Choking Hazard. Not suitable for children under 36 Months.